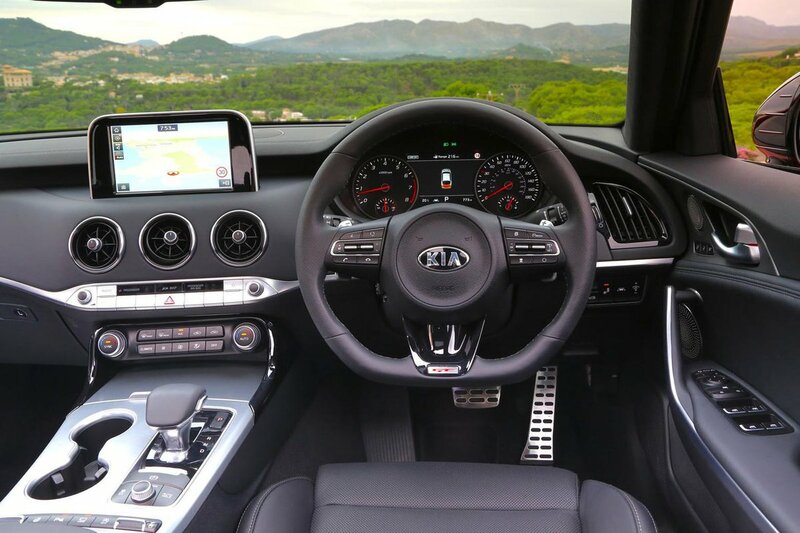 Kia Stinger Interior, Sat Nav, Dashboard | What Car? The driving position is largely spot-on. Adjustments are numerous, thanks to the standard electrically operated steering column and driver’s seat – including lumbar adjustment – and you feel cocooned sportily by the high window line and centre console. It feels better than the incongruously high driving position in the Audi S5. Your view out past the slim windscreen pillars and over the long bonnet helps it feel sporty, too, without making life difficult in tight situations. 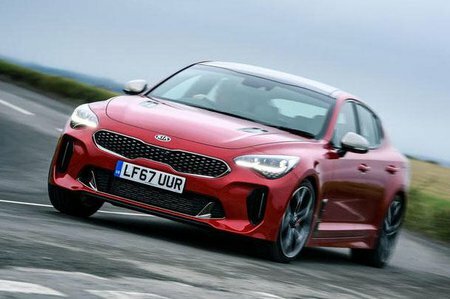 In fact, with standard front and rear parking sensors, plus a rear-view camera (or a 360deg camera for GT-Line S and GT S), parking the Stinger is a cinch. The two upper trims gain standard LED headlights as well. 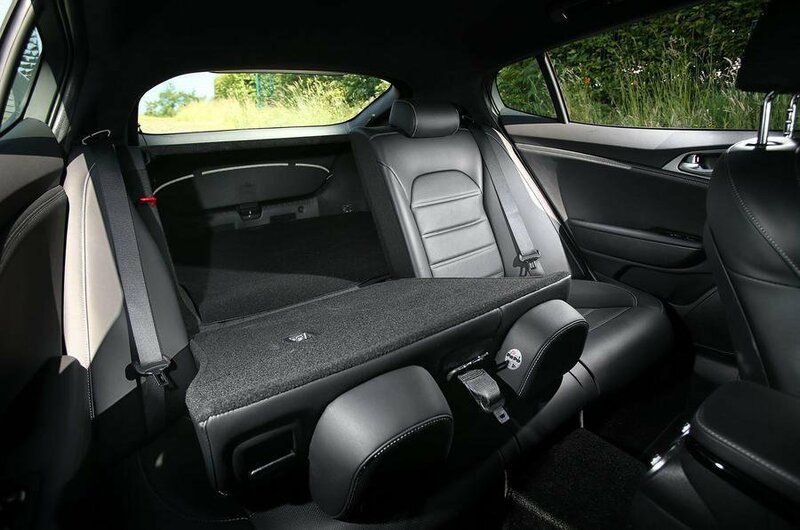 While not a match inside for the beautifully made Audi A5 Sportback, material quality on the Stinger’s upper interior surfaces still looks and feels pretty good; faux-leather covers the dashboard and there are brushed aluminium highlights on the top of the doors and centre console. You’ll find increasing quantities of cheaper-looking, scratchy plastics as you move lower down, though. The ritzy digital instruments you'll find in the latest German executive cars are absent in the Stinger; instead, it has conventional analogue dials that are nonetheless attractive and clear. There's a 7.0in TFT screen in between them that shows driving data, along with a standard head-up display that projects important information onto the windscreen. Then there’s the floating 8.0in infotainment screen in the middle of the dashboard. It’s a touchscreen, which is more distracting to use on the move than the rotary dial interfaces used by BMW and Audi, but the graphics are okay and the screen switches promptly between menus. It’s also well equipped, with sat-nav, a DAB radio, smartphone mirroring and various online services all included. GT-Line and GT S add wireless charging to the goodies tally, too. A nine-speaker stereo with a subwoofer is standard on the GT-Line model, and music lovers will appreciate the Harman Kardon premium sound system that comes on GT-Line S and GT S trims. The latter has an external amplifier and a centre speaker for surround sound listening, delivering impressive clarity and punch.